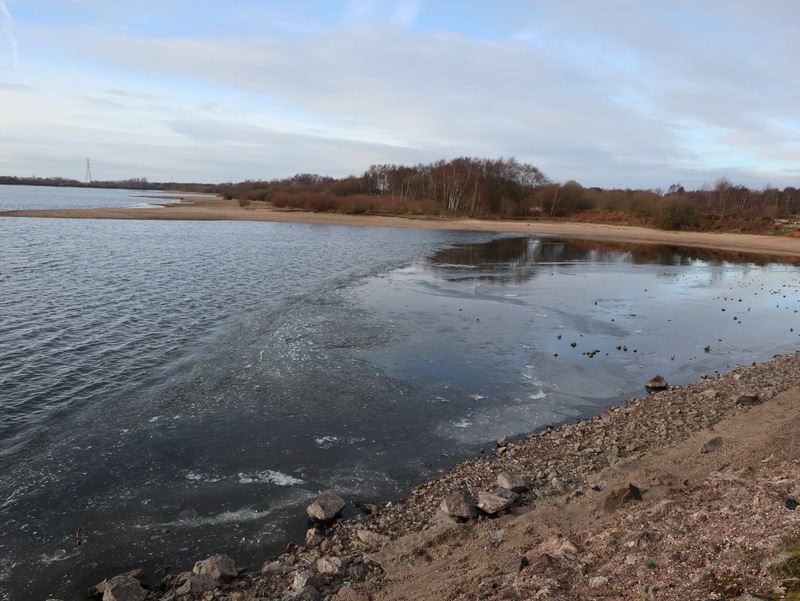 February 3rd – There was still ice on the canals and the fringes of Chasewater, of course. 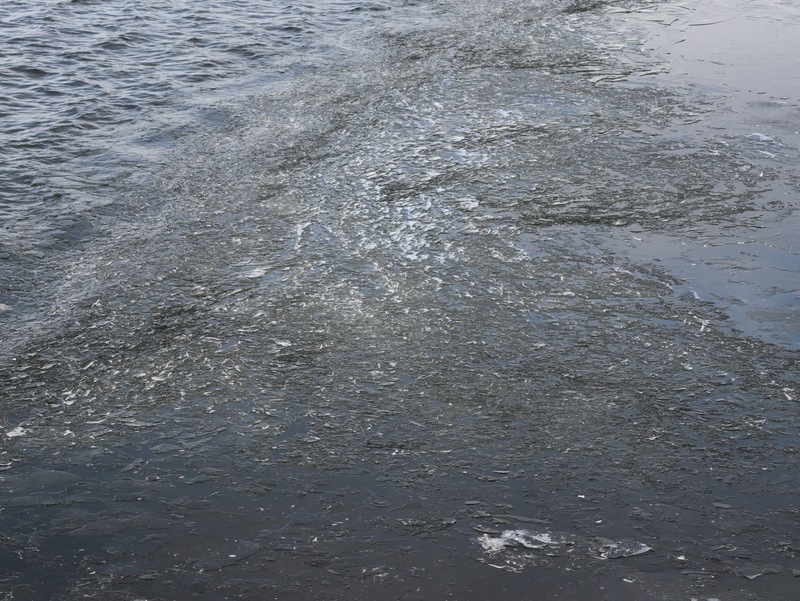 In the gentle wind that formed the usual waves here, the edge of the ice was a battleground between frozen water and the gently dynamic open lake. The fight was continual, and made a lovely, gentle tinkling sound continually. It Wass so gentle and slight you really had to strain to hear it, but it’s a gorgeous, magic sound. January 27th – At least it wasn’t raining. 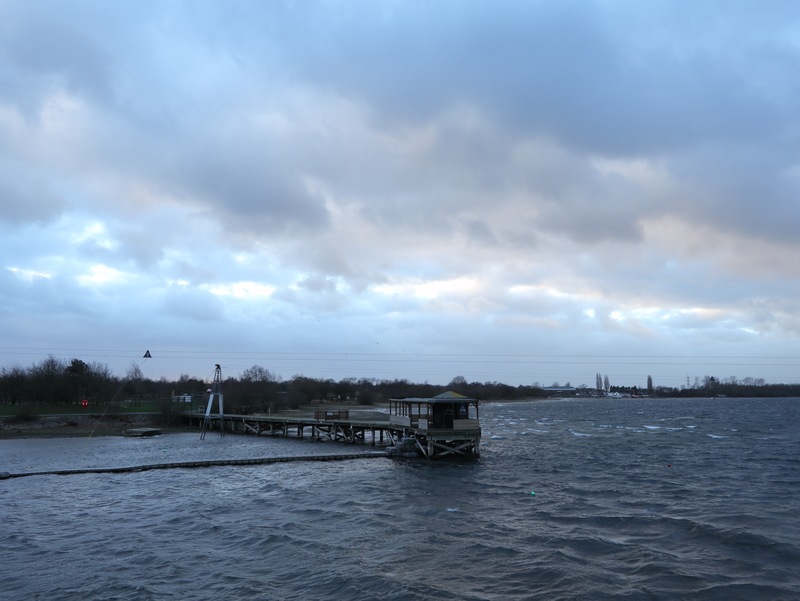 At lunchtime, the wind was horrendous as I rode to Chasewater. Stood on the dam fighting it, it rose white-crested waves on the reservoir that broke angrily around the pier, shore and wakeboard ramps. It was impressively dramatic but not an easy day to cycle on. I suppose a clear day with little wind is too much to ask? March 7th – A great afternoon, although the wind was still very fresh. I returned via Chasewater, which was surprisingly deserted. I noticed the wakeboarding equipment had been set up for the new season, and the lake was still overflowing into the spillway. Waves broke against the southern shore with some anger and splashed any incautious walker. The canal also looked fine as I returned to Brownhills with the sun warm on my back. This early spring is gorgeous, and it’s just what the doctor ordered – but I still can’t get the frightening thought out of my head that at the end of March last year we had the heaviest snowfalls for years. One thing about Britain I really love: no two seasons are ever the same. February 8th – Chasewater does Whitby. It was certainly the last resort – this is no country for old men. I got back on the bike, and slogged home into the relentless wind, cursing all the way.